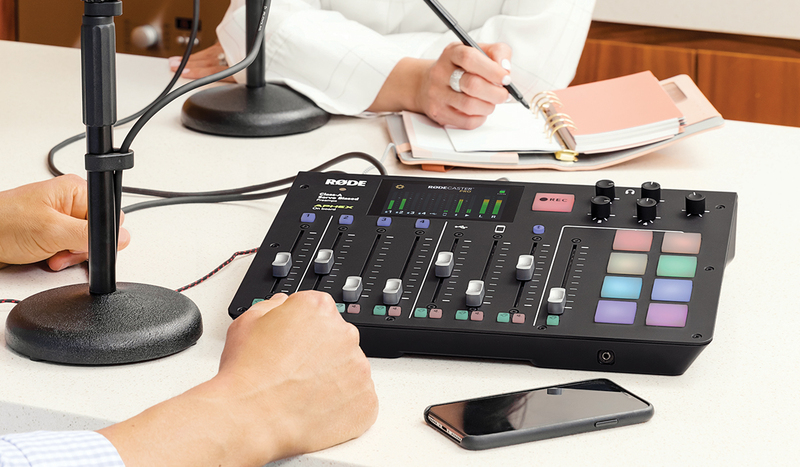 The RØDECaster Pro is the world’s first all-in-one console for podcast production. 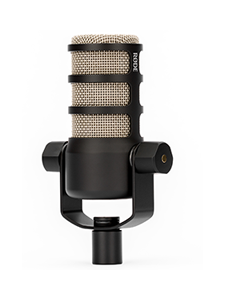 With its 4 Class A servo biased mic inputs, broadcast-quality signal processing, and the ability to stream and record phone calls seamlessly, it’s the go-to workstation for podcasters of every experience level. One of the other features that really sets it apart from other consoles or mixers favoured by podcasters is the 8 colour-coded sound pads - which can be used to trigger pre-loaded audio of any kind - and USB, TRRS, and Bluetooth connectivity to seamlessly incorporate audio from your smartphone or computer. Music and sound effects are hugely important in podcasting. Sure, the foundation of every great show is the host(s) – they are the voice, the storytellers, the interviewers, the personality. Getting this aspect of the show down pat is the most important part of developing a podcast in its early stages. But what about when you want to take it to the next level? One of the most effective ways is to integrate secondary audio sources into the mix: we’re talking sound effects, background music, intros and outros – whatever you need to expand on the brand of your show. This is one of the ways the RØDECaster Pro really shines. Think about your favourite radio station, TV show, or YouTube channel – music and sound effects or bites will always play a crucial role in the flow and personality of the content, and the ability to incorporate this audio with such ease is something other consoles simply cannot offer. So, the question remains: where do you find sound effects, music and other audio for your podcast? Using sound effects is an effective way to give your podcast a push in terms of production value. More and more podcasts are being produced every day; how do you stand out? Sound effects can reinforce your show’s brand, help bridge between segments, reinforce dramatic or comedic moments, or simply help carry the flow of a story or interview. For Trevor Long, creator of the EFTM podcast and co-host of Two Blokes Talking Tech, sound effects, stings, and other secondary audio play an important role in his shows. “In my view, every single different bit of content should be separated or differentiated by a sting or ID - a sting being a short sharp bit of music, an ID being the same but with a branded voiceover,” he says. There are a few options when it comes to sourcing sound effects for podcasts: free, paid, and self-produced (we’ll get to this shortly). If you’re just starting out, it’s likely that you don’t have a huge budget for your podcast. If this is the case, hunting down free sound effects is a good option. There are plenty of free resources out there. These are communities where users upload self-produced or recorded audio for other users to download under various Creative Commons licenses. Sounds great, right? It is; the only issue is that with these kinds of non-regulated resources, the quality of the content can vary greatly, so you may find yourself spending hours trying to find a sound effect that is high quality. If you’re looking to be a little more selective with your sound effects (and save time trawling through thousands of potentially poor-sounding samples) you may want to think about paying for them. Firstly, this ensures higher quality, both in sound and content. Secondly, most paid sound effect resources are regulated and better organised, meaning it will be much easier to find exactly what your show needs more quickly. These can range from very cheap (just a few dollars) to quite expensive (upwards of 50 dollars for sound packs). No matter which route you go down, free or paid, with the RØDECaster Pro, all you need to do is load your audio onto the 8 on-board sound pads via the supplied software and you’re good to go. Music is utilised in several different ways in podcast production. It can be used for intros and outros to bookend a show, segue between segments during an episode, or establish the tone or personality of a ‘talky’ passage. Not all podcasts incorporate music – it simply may not suit your show – but if it’s a path you’re looking to go down, it can be an extremely rewarding process. For Michael Adams, producer and host of Forgotten Australia (a wonderful podcast that digs up forgotten stories from Australia’s past), music plays an integral role in supplementing his narratives. Again, there are three main options when it comes to sourcing music for your podcast: free, paid and recording your own (and again, we’ll get to this shortly). Considering copyright is still extremely important when it comes to using music in your podcast – if you didn’t record it yourself, pay for the license, or download it under a Creative Commons license, it is illegal to place in your podcast (the same goes for sound effects). Because entire songs or passages of music are considerably more difficult to produce than an ambient recording or sound effect, the amount of quality free music out there ready for you to download is somewhat limited. This also means that there is a greater chance that you will hear the same piece of music in someone else’s podcast, which is not ideal, so be wary of this. Much like sound effects, paying for music for your podcast will ensure better quality content and a far greater selection of original material for you to use as you wish. If you are willing to pay, there are a couple of options, depending on what you need the music for. If music plays a central role in your podcast, and you find yourself needing lots of different types of tracks for different segments or episodes, then you may want to consider paying for a subscription license, which will allow you to access loads of music on a pay-as-you-go basis. Musicbed is another great example of a service that gives you access to thousands of audio files on a subscription basis. If you only need to download one song to be used for, say, your intro jingle, then looking for royalty free music is a good option. In a nutshell, ‘royalty free’ is a type of music license that allows the purchaser to pay for the license on a one-off basis to be used for as long as they need, without having to pay royalties to the license owner. There are loads of royalty free music resources out there, as a quick Google search will reveal. 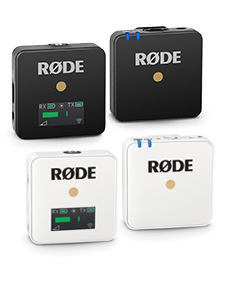 Depending on how you plan to use music in your podcast, there are multiple options for seamlessly incorporating it with the RØDECaster Pro. If you need to trigger a track multiple times in an episode, or if it plays a central role in your show (your intro jingle, for example), simply assign it to one of the 8 sound pads for quick, easy access. Do you need to play a selection of tracks throughout your show? Simply connect your smartphone or computer via one of the Bluetooth or USB channels, push up the slider, and hit play. If you are concerned about copyright, determined to craft your podcast completely from scratch, or just want to flex your creative muscle by composing original audio for your show, you may want to consider recording your own music or sound effects. 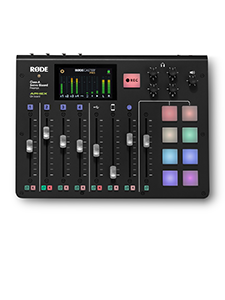 This is incredibly easy with the RØDECaster Pro: simply plug in a mic to one of the four inputs, navigate to the sound pad manager on the high-resolution LED touch screen, select the desired sound pad slot, and hit record. If your compositions are a little more complex and need to be recorded on a multitrack recorder, that’s fine too: these can be streamed seamlessly from your smartphone or computer via the USB or Bluetooth connections. The sound pads are just one of the powerful features you will find on the RØDECaster Pro. Find out more about it here.